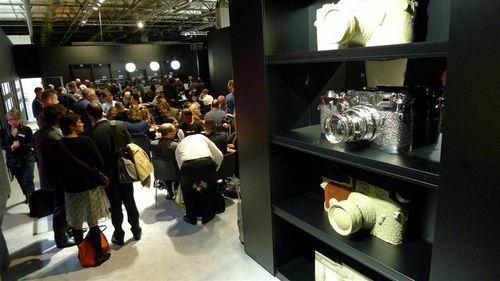 The term “Fake Leica” may sound scary to genuine Leica dealers / collectors, but a “fake” Leica was drawing much publicity at the Photokina, one of the world’s largest photo equipment exhibitions opened and concluded this September in Cologne, Germany. At last there was a general relief, that the “Fake Leica” can never be seriously mistaken as a genuine Leica, due to its gigantic size . 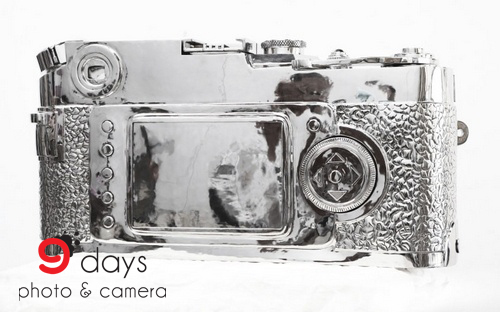 It later found out this article made of stainless steel was not a camera at all. It was an artpiece done by Chinese metal sculptor Liao Yibai. 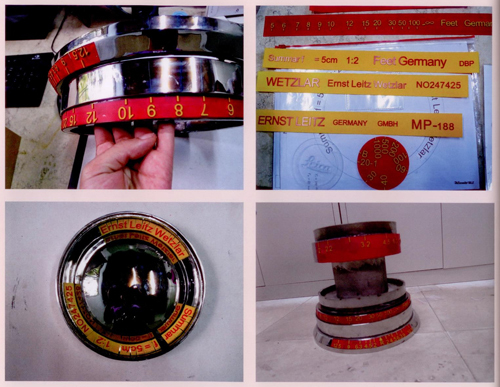 His “crime” of copyright violation was well acknowledged and appreciated by Leica AG of Germany, who even bought one sculpture (of medium size: 17 5/8 x 32 ¼ x 19 ¼ inches, serial number “1”) and displayed it on its official booth at Photokina. The story of “Fake Leica” was also included in a special book released in conjunction with the Photokina, chronicling Leica’s story, titled “99 Years”. A native of Sichuan Province, China, Liao is based in Beijing or Chongqing and has been engaged in artistic creation. 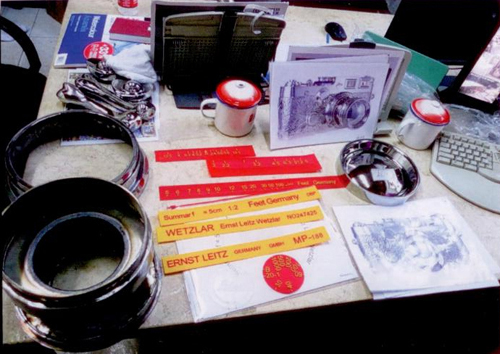 Before the Leica project he was obsessed by the concept of “Real Fake” that he manufactured a series of metal sculptures of high-end labels. The project was commenced in March, 2011. 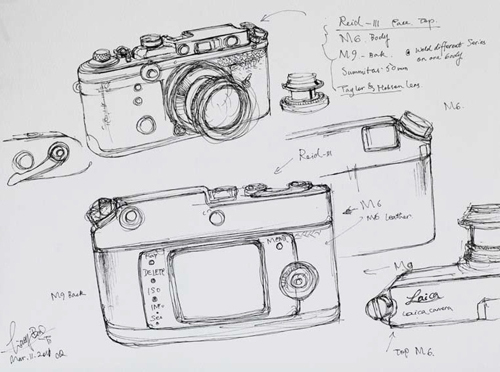 During the research stage, Liao drew sketches with ideas taken from Leica M and other rangefinders in different generations. 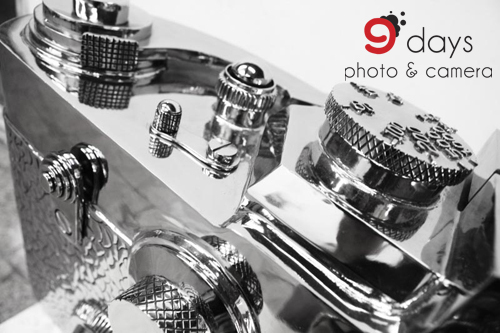 It would be a sculpture that captures all the essence of Leica from the age of screw mount to M9P. The first three sculptures he made in 2011 took the size to 26 x 53 x 28 ½ inches, each later sold out for HKD 2,500,000. The “Fake Leica” was based primary on the appearance of Leica IIIf, M6, M7, M9P, attached by a lens of pre-M Summicron 5cm f/2, an early, collapsible version. The front panel of the sculpture was largely based on M7, in particular the M7 Hermes. The M7 Hermes adopted more traditional style of frameline selector, R lever, and battery box (for metering). 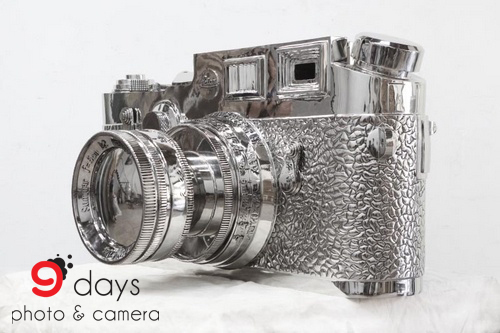 The metal plate forged into the exact shape and texture of vulcanite, was served “leatherette” of the “camera”. The front panel suggested it was a really old “camera”, with the early Summicron 5cm f/2. This sculpture also looks like a Leica screw mount IIIf – most noticeably it is smaller than a M6 or M7, with the transport lever (near the grip of right hand) significantly lower than the rangefinder windows on the left. 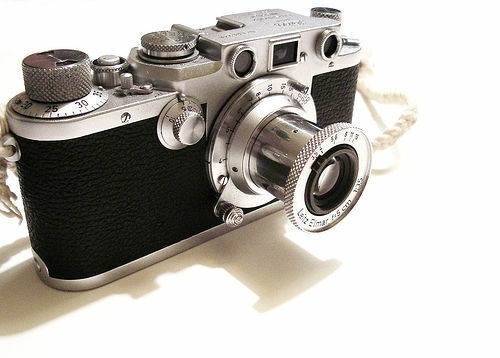 The image above showed all the controls on the top plate – the shutter release, film transport, lever to slow-dial were made to impose screw mount like Leica IIIf, except a transport lever was used. 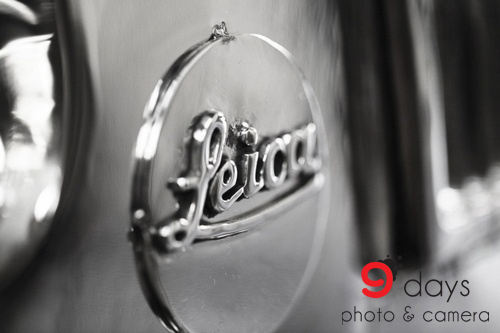 The famous Leica logo, nowhere to be seen in older Leica before M6, appeared in this sculpture at the most obvious position on the front panel. The rewind crank, liked other film M since M4, was canted. 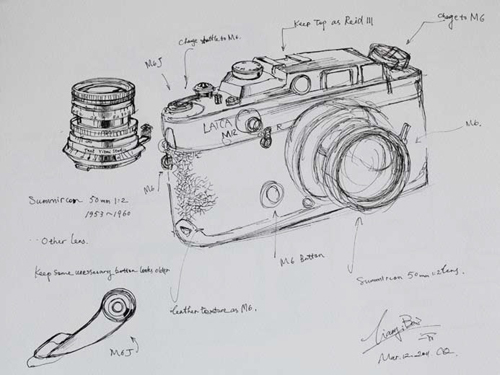 Reid III, named alternatively the “British Leica copy”, was a personal favourite of Liao. 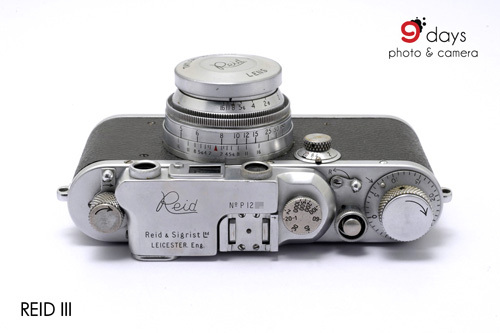 Many years ago the Reid III was comparable to Leica IIIf for its high quality. 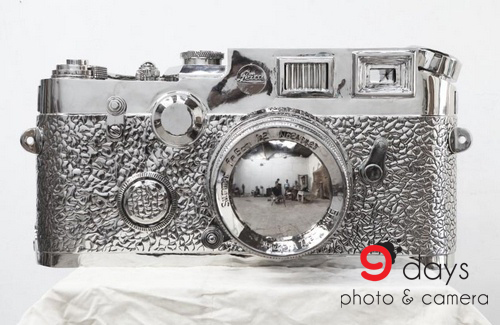 The “Fake Leica” sculpture also has input of Reid III. The back of the sculpture was a totally different mix of idea – it had the LCD screen and arrow buttons! 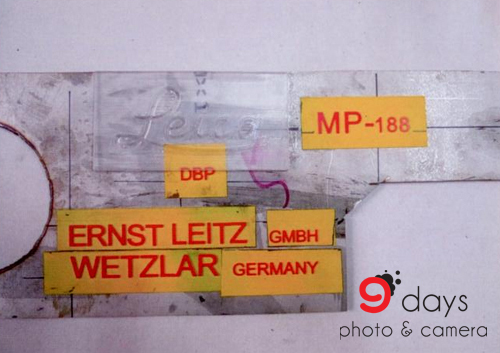 They were exclusively features of a digital M like the M9P! It demonstrates how Liao is taking the boldest step in his art creation. The necessary fonts and Leica logo were put into right places. The “MP-188” was special to Liao. 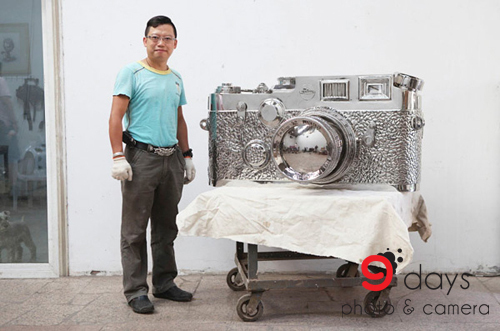 It was the Leica MP used by Liao as well as a reference model for the sculpture. The sculpture was nearly done after covered by “metal leatherette” and markings. 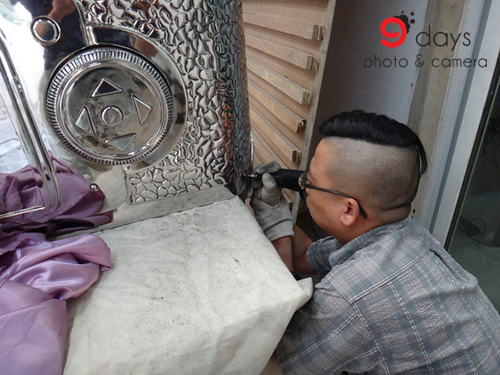 The sculpture was finished by May, 2011, with the assistance of a team including Liao’s family. Liao’s aim is always to provoke others by blending real and fake features together. Before this project he made metal sculpture of top branded bags, mobile phone and watches. Medium: Dimension is 17 5/8 x 32 ¼ x 19 ¼ inches. Production number is 12. 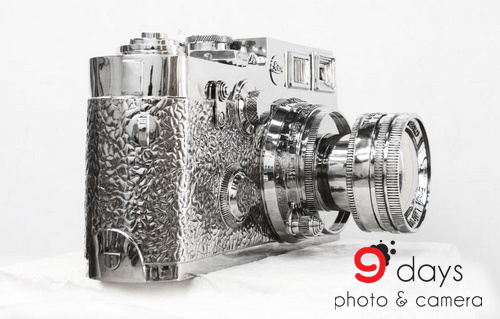 One of them was owned by Leica AG and displayed at Photokina 2012. Large: Dimension is 26 x 53 x 28 ½ inches. Production number is 3. All sold out, and each sold at record price of HKD 2,500,000. Extra large: Dimension is 57 x 118 x 62 inches. Production to be completed in 2013. 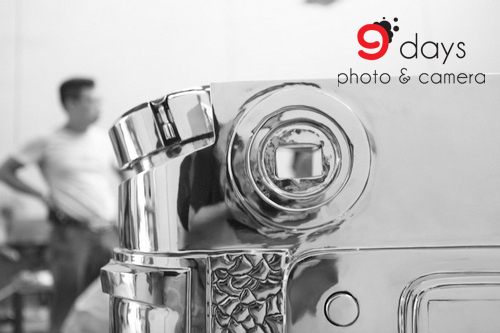 It must be a dream by any Leica fans to own this masterpiece – now available in HKD 900,000 with serial number “9” handled solely by Ninedays Photography Limited (9days.hk). Please contact us by [email protected] or (852) 2366 9238 if interested to BUY.